Joey Hannah and Katy Redd partnered with Texas Parents on a webinar called “Bouncing Back: Helping Your Student Navigate Failure and Rejection,” which included valuable resources for parents interested in supporting their students through their university experience. April is Sexual Violence Prevention Month and Voices Against Violence has been working on a series of programs and educational campaigns for the campus community. Check out the schedule. 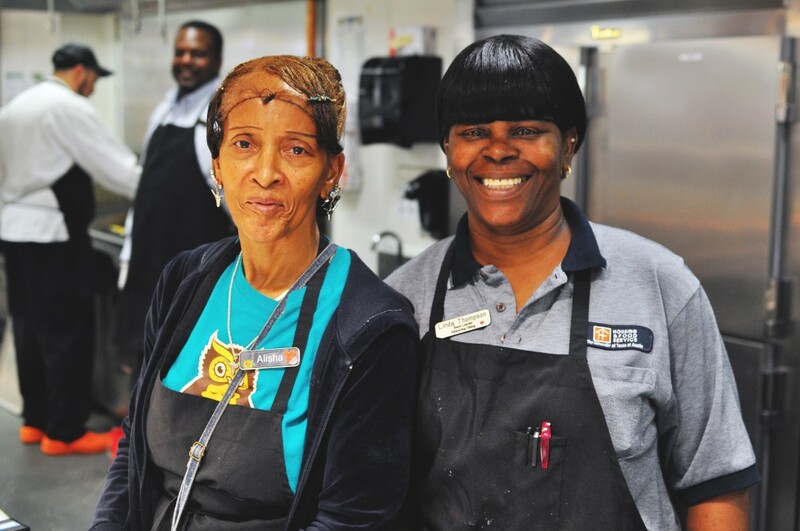 The annual Explore UT Open House was held on March 7 and the event brought many hungry visitors to dining centers. J2 served over 3,800 and Kinsolving over 2,500 customers in just four hours. All the visitors were impressed by the great customer service and options. When winter weather closed the university for half a day in early March, students were in good hands with the DHFS Storm Troopers. They stayed overnight on campus to ensure students had the services they needed. A special thanks to Patricia Burges, Noi Castellaja, Dee Chandler, Libby DeSantiago, Paula Diaz, Greg Dominguez, Sarah Downing, Rick Early, Louie Episcopo, Armando Flores, Marcelina Garcia, Maria Guerrero, Kemar Harris, Christi Jenner, Lindsey Jordan, Leigh McKinnon, Dan Murin, Ernest Owney, Laurin Pelchat, Tomasa Rios, John Rykowski, Rodolfo Sandoval and Sarah Webb. “Eat your fruits and vegetables.” You’ve likely heard this since childhood. Yet, college students aren’t eating anywhere near the recommended five daily servings of fruits and vegetables. In an effort to promote healthier eating habits, DHFS has created several produce themed owl mascots for the month of March, which is National Nutrition Month®. DHFS exposed students to a combination of healthy menu offerings at the Festival of Fruit and Delectable Vegetable Festival, as well as educational and interactive activities throughout the month, making eating healthy a hoot for students in March. All Division staff are invited to attend The Homegrown Local Dinner April 9 at J2 and Kinsolving. This dinner will showcase local, sustainable and organic ingredients in classic Texas dishes. Local Bluegrass bands will perform at the event. 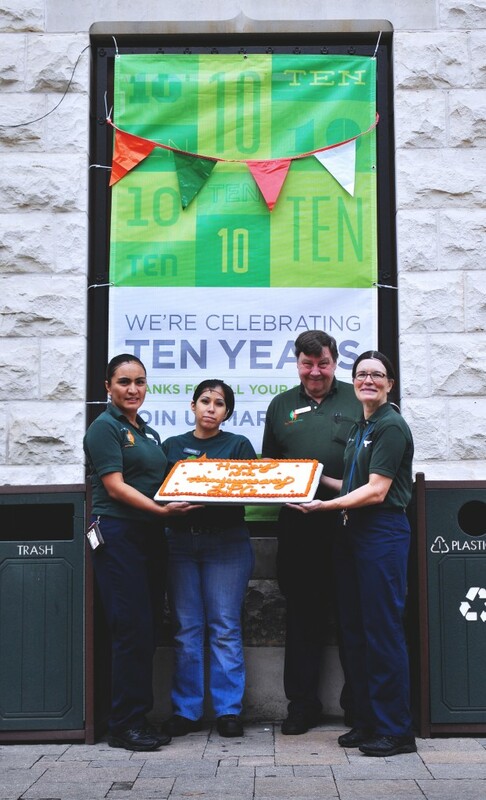 On March 10 Littlefield Patio Café (LPC) celebrated its 10th anniversary with over 1,000 servings of cake and ice cream. Employees Juana Castro, Amada Cerda, Tom Fuquay, Beverly Sutton and Jorge Tinoco are all celebrating 10 years of employment at LPC. NSS is very excited to announce that Dr. Celena Mondie-Milner has been selected as the new director of New Student Services (NSS). 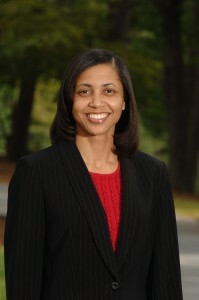 Dr. Mondie-Milner comes to us from Clayton State University in Morrow, Ga., where she served as the director of Orientation and New Student Programs. She will officially begin as director on June 1. Read the announcement. Registration for Freshman and Transfer Orientation opened on March 4 at 10 a.m. Despite some initial technical issues, the sessions have been filling up quickly. So far, 4,281 students have registered for orientation. On March 5 the Orientation advisors and Camp Texas executive staff in the NSS peer leadership course presented research at a poster session open to the UT Austin community. The topic was the impact of a university-wide orientation program on student transition and success, and their posters included recommendations for orientation programming at the university. NSS invited departments and programs to participate in “Discover UT” optional program sessions on days two and three of Freshman Orientation. Thanks to those who signed up to participate. NSS distributed a reference document, “UT Orientation: Info At-a-Glance.” It contains language guidelines, contact info, communication channels and information on Family Orientation and FAQs. Student Activities reminds all staff that Student Organization Annual Registration is April 1–22 and all student organizations must register to maintain their status. The Office of the Dean of Students is proud to host an Evening of the Stars on April 21 to honor outstanding individual students and organizations. The Leadership and Ethics Institute (LEI) will hold the first student leader reunion for alumni of LEI programs from 1–3 p.m. on April 11. Legal Services for Students now has updated will forms and estate planning documents to better protect students’ digital assets after death, including social media, pictures, online banking, email and other accounts. Departments across the Division partnered to host another successful Student Job and Volunteer Fair in the Gregory Gym Concourse March 25–26. The vice president’s office alone received 84 signups interested in current and future job opportunities. In addition to recruiting for current and future student job and volunteer opportunities, representatives had the opportunity to expand visibility about their programs and services. The #HireMeUT social media promotion campaign reached 35,222 accounts on Twitter over one week, totaling 93,335 total impressions. The fair committee also partnered with the University Leadership Network to share resources and once again to host simultaneous events. Take a look at the photos. 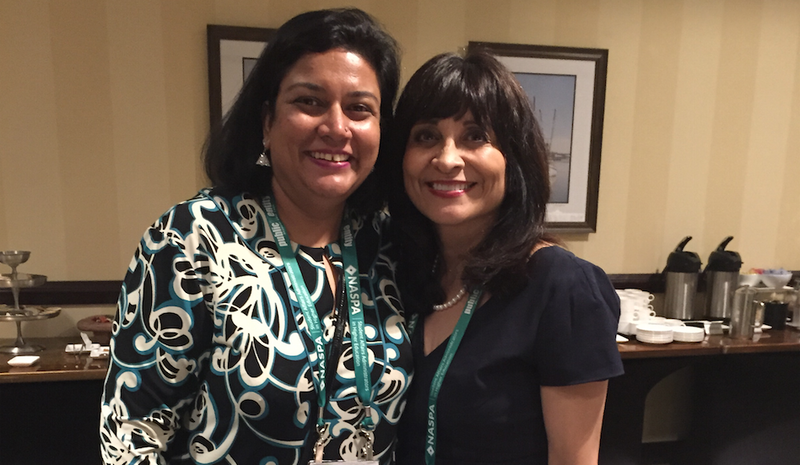 The Office of the Vice President for Student Affairs partnered with the College of Education’s Program in Higher Education Leadership to host a Texas Tradition reception at the 2015 Student Affairs Administrators in Higher Education (NASPA) annual conference in New Orleans. See this month’s Standouts section for a list of those who presented at the conference and check out the photos. 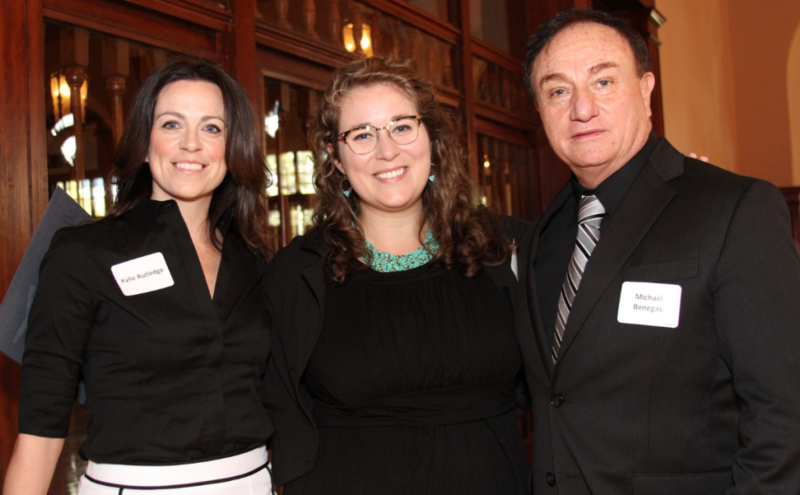 The first Sharon H. Justice Leadership Scholarship was awarded during a reception on March 26. See the reception photos. Another True Colors® Communication workshop was held on March 17. Representatives from across the Division learned how to utilize their understanding of True Colors® to communicate better as a team. Check out the photos. Registration is open for the next Communication workshop on April 22. Recreational Sports hosted a very successful Texas THON in March, raising a record-breaking $102,273.89 for Dell Children’s Medical Center of Central Texas. This student-led event kept students on their toes (literally) from 10 a.m. to 10 p.m. and was overseen by Senior Assistant Director E. J. Patterson and Assistant Director Rhonda Cox. Senior Assistant Director Chris Burnett is working with Texas Round Table on the annual Pancakes for Parkinson’s fundraiser to honor Dr. James Vick, former vice president for Student Affairs, and to raise funds to find a cure for the disease. Please join them for pancakes on Wednesday, April 8, from 9 a.m.–2 p.m. at Gregory Gym Plaza. Longhorn Run 2015, set for Saturday, April 11, is attracting a wide range of university and non-UT participants who are opting for either the 5K or 10K run. Proceeds will benefit the Student Government and RecSports Excellence Funds. 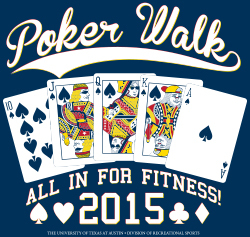 You may now register for the RecSports Poker Walk slated for Wednesday, May 13, beginning at 11:30 a.m. All UT Austin faculty and staff are invited to participate as we celebrate National Employee Health and Fitness Day. Texas is being well represented at the National Intramural-Recreational Sports Association’s annual conference being held in Grapevine, Texas through April 2. Several Recreational Sports professional staff will participate. Texas Parents is busy preparing for Family Orientation 2015, a daylong program to introduce parents and families to the university and its resources. Families of freshman students can attend Family Orientation on the first day of their student’s Freshman Orientation. 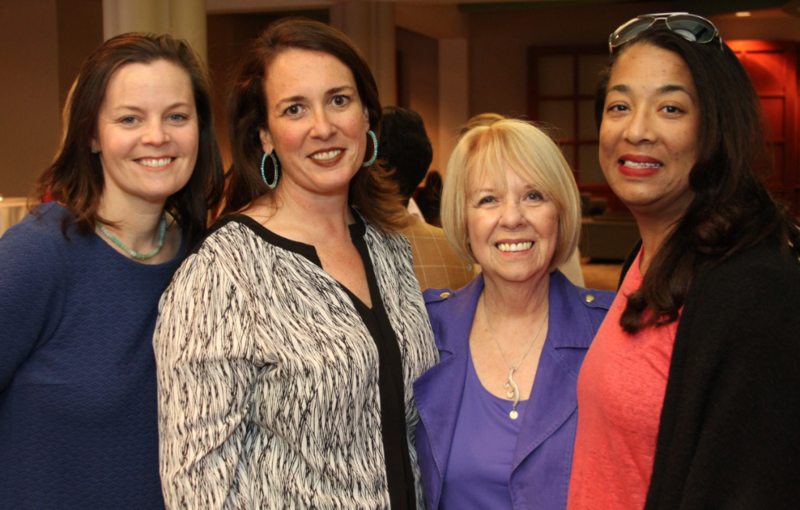 The CSR Spring Luncheon took place on March 28. Students, their parents, CSR donors and UT System staff came together to celebrate CSR’s successes over the past year. Check out the photos. CSR Spring Scholarships are due by April 20. CSR scholarships are awarded to students based on demonstrated commitment to recovery, service, academics and financial need. In early March UHS distributed 3,000 UHS Safe Spring Break Kits to students. The kits consist of water bottles stuffed with health-related freebies and tips on sun safety, handling alcohol-related emergencies and more. With measles in the news, UHS healthcare and public health professionals are updating protocols for communicable disease outbreaks on campus. 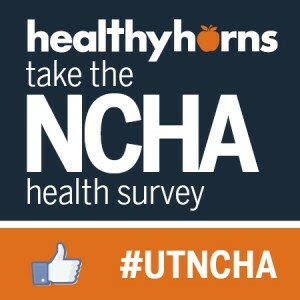 In March UHS administered the National College Health Assessment (NCHA), a biennial survey of 8,000 randomly selected UT Austin students. Survey results give insight into the health behaviors of today’s students and help UHS meet their needs. Come check out the new artwork sprucing up UHS walls. UT Austin students took many of these striking photographs. Health Promotion staff, in collaboration with the staff Women’s Health clinic, launched Contraception for College Students. 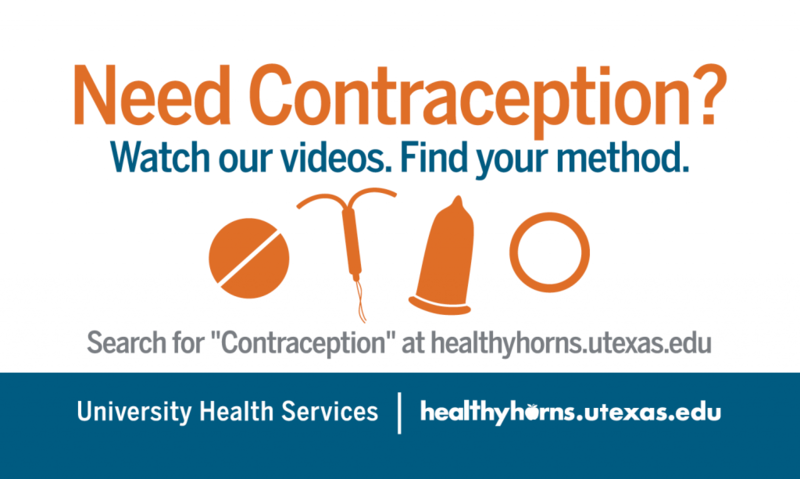 Delivered by student peer educators, this video series provides an overview of the various methods of contraception and helps students prepare to discuss birth control with a healthcare provider. UHS conducted its third survey of students who have never used the health service to learn their thoughts on healthcare, opinions about UHS and more. Information gleaned will help UHS refine its services and communications. All events spaces in the Student Activity Center (SAC) are now equipped with single stream recycling bins, mirroring the common area setups. 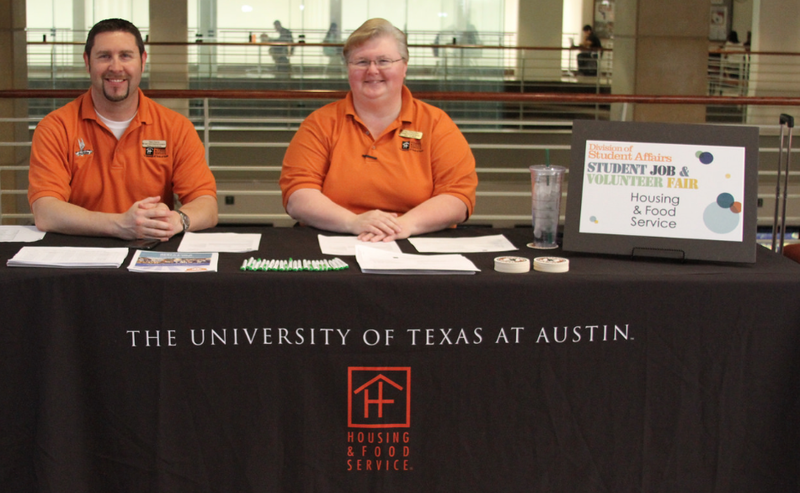 On March 7 the SAC and Texas Union both hosted several events and departments for the annual Explore UT event. Over the day, a total of 18,436 guests visited the facilities and participated in a variety of learning opportunities as well as free bowling, billiards and Tower Tours. The biannual Through Our Eyes photography contest has wrapped up. The University Unions continued the theme from last semester and encouraged students to submit photographs that reflect “Changing the World.” Students submitted over 100 photos showing how they are changing the world through the arts, community involvement, academic pursuits and many other unique ways. A panel of students, faculty and staff will be selecting the top 15 photos to be displayed in the SAC. The winners will be announced later this spring.